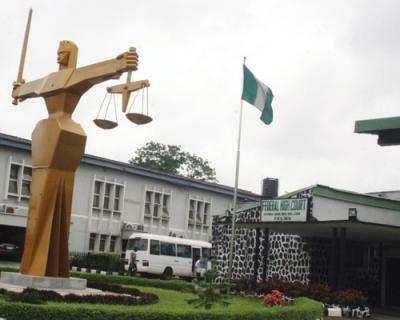 Justice Rita Ofili-Ajumogobia of a Federal High Court in Lagos on Thursday sentenced a 22-year-old fashion designer, Tunde Balogun, to 14 years' imprisonment for drug trafficking. Balogun, who pleaded guilty to a charge preferred against him by the National Drug Law Enforcement Agency (NDLEA), was arraigned on March 12. But the court ordered that he should be remanded in prison custody pending when the facts of the case were reviewed. On Oct. 22, the prosecutor, Mr Jeremiah Aernan, tendered the evidence before the court, which were admitted and marked as exhibits. Delivering the sentence on Thursday, Justice Ofili-Ajumogobia said the convict would spend 14 years in prison from the date of his arrest. "The convict is sentenced to 14 years' imprisonment, beginning from the date of his arrest. "The drug exhibits are to be destroyed if no appeal is filed against this judgment," she said. Earlier, the prosecutor had told the court that the convict committed the offence on Sept. 15, 2014. He said that the convict was arrested in Agege Local Government Area with about 200 kilogrammes of Cannabis Sativa, a.k.a Indian hemp. The offence contravened Section 11(c) of the NDLEA Act, Cap N30 Laws of the Federation, 2004. The convict told the court that he was a fashion designer and needed money to establish his fashion house. He claimed that he was a first-time offender who was lured into the act of drug trafficking to make ends meet and prayed the court to temper justice with mercy.